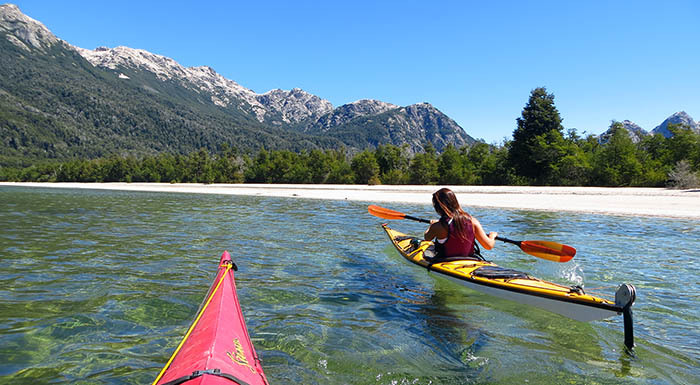 Join us in a three day kayaking expedition exploring the huge and beautiful Nahuel Huapi Lake. 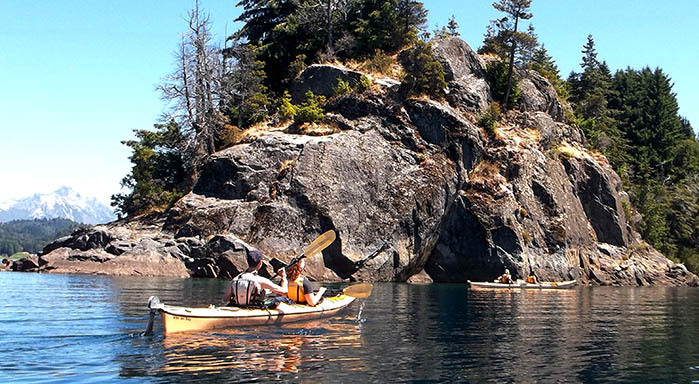 The trip begins at the extreme North end of the lake and covers 50kms of paddling across four of the lakes branches. 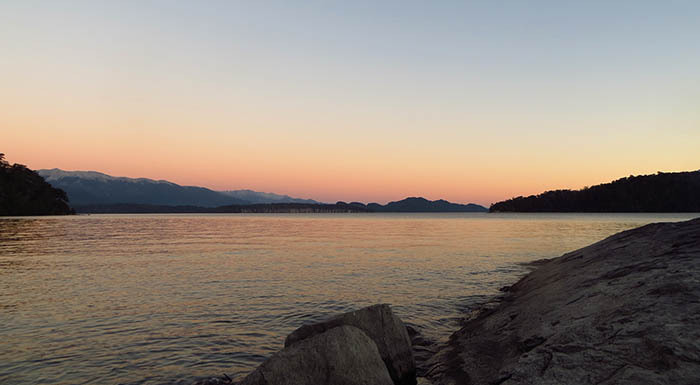 A wilderness experience camping by the shore and fishing for some tasty trout’s are some of the components of this beautiful experience. Day 1: Meet your guides for a gear check and briefing chat. Once at the lake shore they will run a short paddling clinic to cover basic on-the-water safety procedure and stroke techniques. Time to pack the kayaks and head into the water, you begin navigating Rincon Branch heading East. After 10kms of paddling and once you entered the Machete Branch we will find a campsite where to spend the night. Time for some pizzas by dawn! 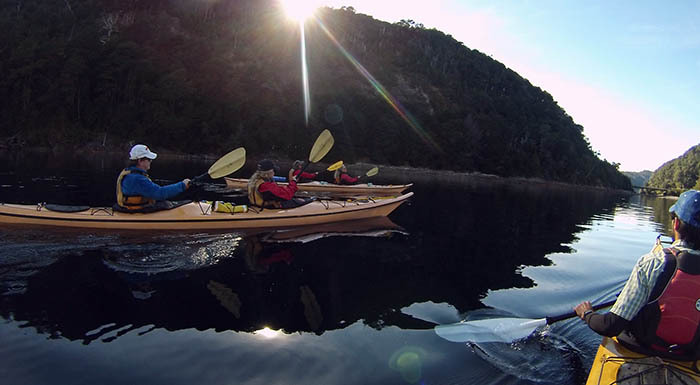 Day 2: After breakfast, we pack the kayaks and continue paddling the main lake body on it´s West coast. Staying close to the shore provides us protection from the wind and also allows you to discover the flora and fauna living by the lake. If conditions are good, we can make a stop at the inlet of a creek and try to catch some trout’s for dinner. We paddle across some old farms where ranchers still grow their sheep and cattle for living. 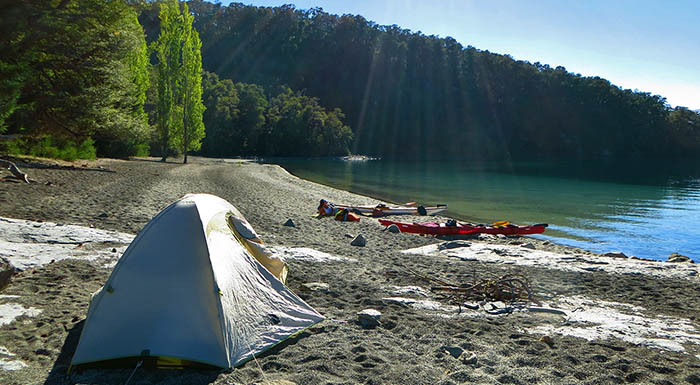 After 20kms of paddling we arrive at Arroyo Coluco bay where we will set camp. Time for a swim and relax at the beach. Day 3: Last day on the water, today we have the biggest challenges since we have to do two crossings with some exposure to wind and waves. You will practice those strokes and techniques that the guides have been coaching you on. 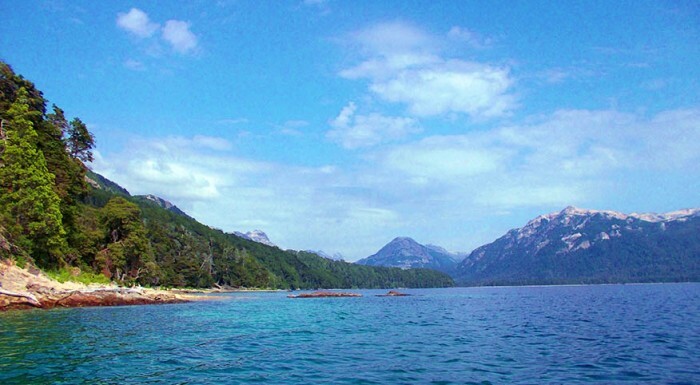 The route takes us through some beautiful landscape, such as the Fossil Archipelago, Millaqueo Peninsula and Sentinel Island where the founder of the National Park system rests in peace. The final push of the traverse provides some of the most amazing views of the mountains such before we beach at Lopez Bay where the expedition ends. Once out of the water, it is time to celebrate a successful expedition with a tasty beer at Berlina Microbrew! Optional: This expedition can be extended with a non-technical peak ascend at Cerro Dormilón, spending a night up high in the mountains in its cozy mountain hut. If you have some mountaineering experience, you might want to take a go to climb Cerro Capilla instead which involves a steeper and more challenging climb.